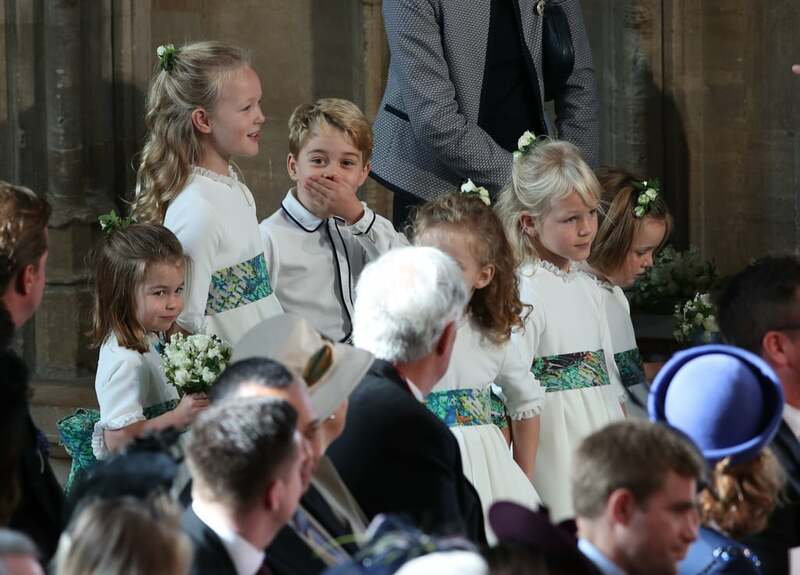 It's safe to say Prince George and Princess Charlotte know how to steal the limelight during a wedding, and the most recent royal wedding was no different. 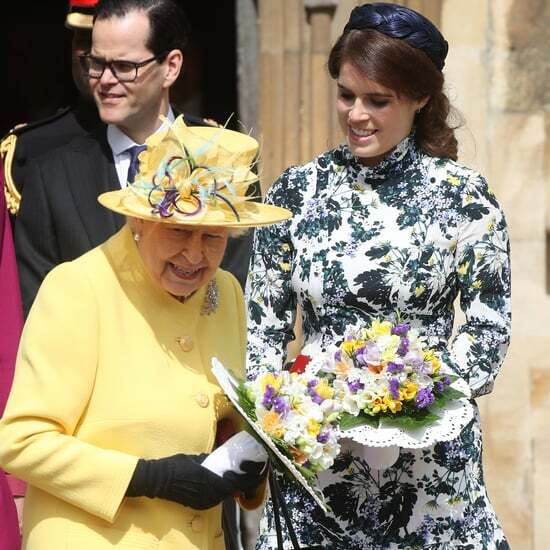 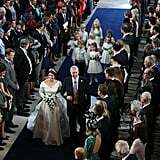 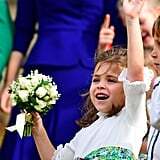 On Friday, Princess Eugenie and Jack Brooksbank made things official at St. George's Chapel in Windsor — the same chapel as the Duke and Duchess of Sussex — surrounded by all their family and friends and an adorable party of bridesmaids and pageboys. 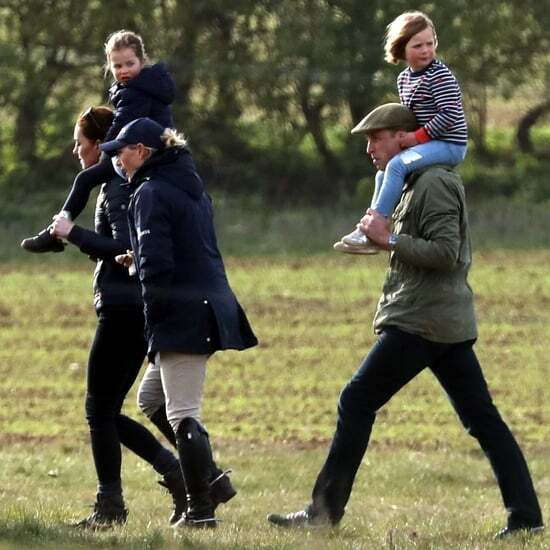 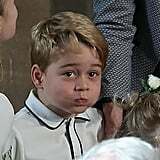 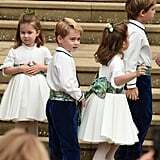 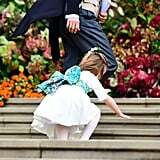 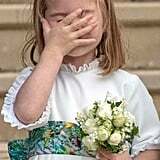 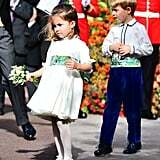 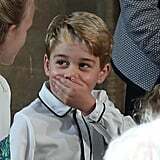 Possibly the most adorable part was seeing Prince George and Princess Charlotte falling over on the walk up to the chapel, after being blown away by the wind. 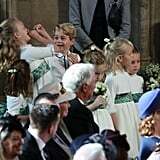 Of course, the two little royal pros immediately brushed themselves off and continued lapping up the cheers from the crowd. 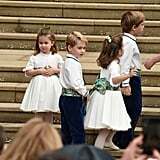 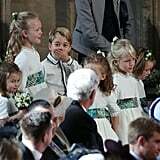 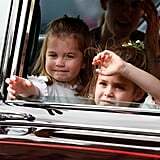 This wasn't George and Charlotte's first time playing these roles; the two young royals had prior experience at Pippa Middleton's wedding in May 2017, and of course, at Prince Harry and Meghan Markle's wedding in May this year. 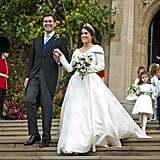 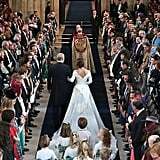 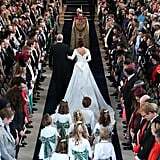 Princess Beatrice took the lead as maid of honor, and Jack asked his brother, Thomas Brooksbank, to be best man. 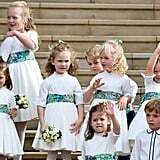 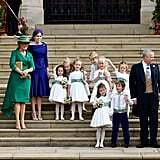 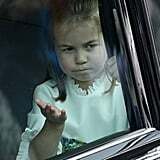 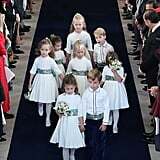 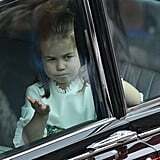 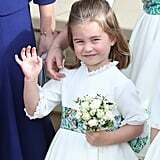 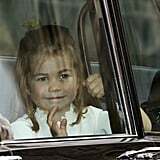 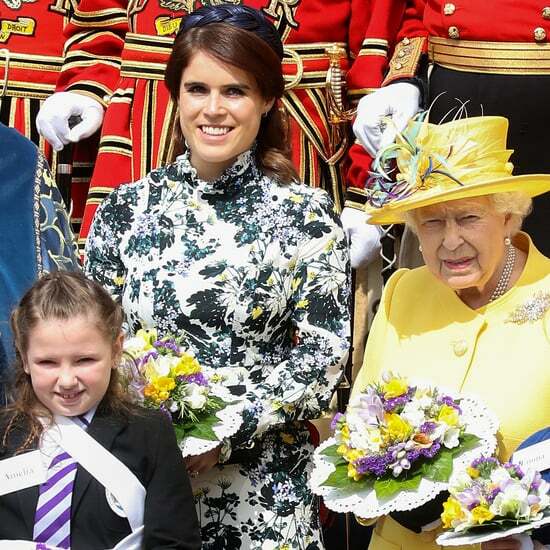 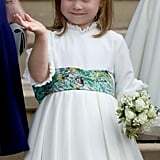 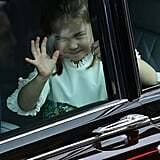 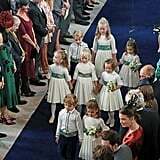 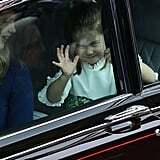 Princess Eugenie's bridesmaids were Her Royal Highness Princess Charlotte of Cambridge, Savannah Philips (age 7 — daughter of Autumn Phillips and Peter Phillips), Isla Philips (age 6 — daughter of Autumn Phillips and Peter Phillips), Mia Tindall (age 4 — daughter of Zara Tindall and Mike Tindall), Maud Windsor (age 5 — goddaughter of Princess Eugenie, daughter of Lady Frederick Windsor and Lord Frederick Windsor), and Theodora Williams (age 6 — daughter of Ayda Field and Robbie Williams). 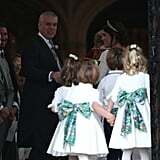 Princess Eugenie's pageboys were His Royal Highness Prince George of Cambridge and Louis de Givenchy (age 6 — son of Zoe De Givenchy and Olivier De Givenchy), with special attendants the Lady Louise Mountbatten-Windsor (age 14 — daughter of Prince Edward, Earl of Wessex, and Sophie, Countess of Wessex) and Viscount Severn (age 10 — son of Prince Edward, Earl of Wessex, and Sophie, Countess of Wessex).